Eating well and staying fit can be a lot of work. Whether it’s resisting foods you’re craving, or motivating you to get to the gym, there’s a lot that “staying fit” encompasses. The good news is we live in a technological world–full of advances and modern technology that can help with an array of life’s problems from managing your finances, to controlling your home security, to improving your health. 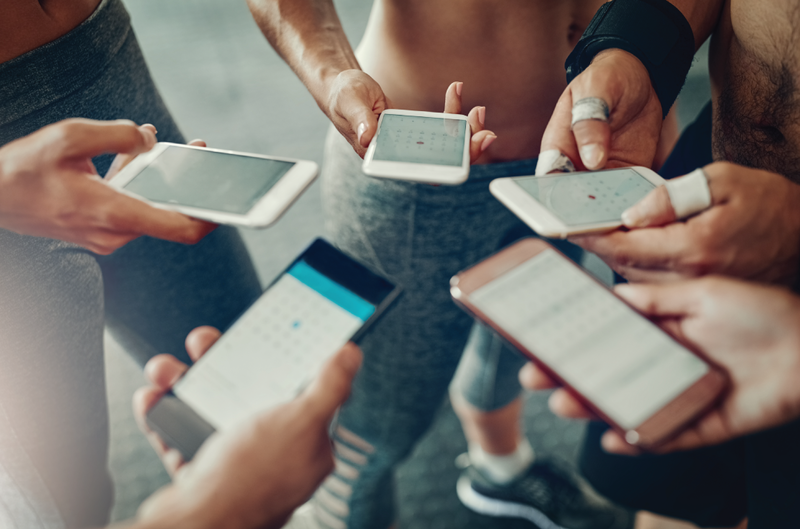 If you visit your App Store, chances are you’re going to find a plethora of apps that can help you with your fitness goals. From tracking your fitness, to counting calories, to motivating music–you’re pretty much guaranteed there’s an app (or two) there for it. Mealime is a simple way for people to meal plan and eat healthier. Their meal plans are convenient–taking just 30 minutes or less to cook, and the recipes are customizable to your tastes and lifestyle. Each week, Mealime sends you a personalized meal plan for your specific needs. You can then personalize it and add recipes to Mealime’s shopping list, which automatically generates a shopping list with all the necessary ingredients for you. And what’s even better–the app helps eliminate food waste by using similar ingredients in multiple recipes from your week’s plan. Mealime’s upgraded “Pro” version offers additional capabilities–like nutritional information, calorie customization filters, making notes to recipes, additional recipes, email support, etc. We’ve all heard that 80% of being fit is attributed to your diet, right? That means we ditch the oreos and replace it with some fresh vegetables. But it’s not always that easy– ShopWell is a free app that helps you determine what foods are actually healthy so you can create a healthier grocery shopping list. The app allows you to scan barcodes of packaged foods, and then advises you how nutritional it really is. Rather than reading off the label to you itself, it will inform you if the food has additional sugars, is a good source of a vitamin, or uses whole grains. In addition, it offers suggestions of foods that will better fit your lifestyle. If you have food allergies or dietary restrictions, the app will also recognize those and alert you when you scan something. Although the name implies it’s for men, don’t be fooled. This recipe app has amazing reviews and is perfect for everyone–men or women. FitMenCook has budget friendly recipes that are both healthy, and practical. Let’s be honest, how often have you thought to yourself, “It’s expensive and time consuming to eat well!” Not anymore! The recipes are easy to prepare, affordable, ideal for meal prepping, and aligns with your fitness goals. And with the easy-to-follow video tutorials, you’ll have no problem throwing together a healthy meal. The app also allows you to track your calories and macros, and is compatible with Google Fit. And when you’re done meal planning for the week, add those recipes to your shopping list and it will be organized by aisle (making grocery shopping a breeze). Eating out is a part of life. It’s near impossible to abstain from dining somewhere. But that doesn’t mean that you have to throw away your health goals when you go to a restaurant. HealthyOut is a free app that helps you quickly find and order healthier foods at restaurants. The app suggests meals (not just salads) that have lower calories, fewer carbs, and less fat. It can also suggest meals that correlate with your diet, whether it’s Paleo, Atkins, Zone or South Beach. It also comes equipped with dietary restrictions like Vegetarian, Vegan, Lactose and Gluten Sensitive. Think you’re eating healthy foods? This app may shock you. Fooducate helps you track calories and grades the foods you eat based on their nutrition. If you’re competitive or an overachiever, this app may work well for you. Get straight A’s for eating well, or get F’s if you’re eating unhealthy food. The app also advises you of the healthier foods to improve your grades. The community feature allows users to share healthy eating ideas with others. MyFitnessPal helps track your exercise and your caloric intake. MyFitness Pal seems to be more compatible with adding various recipes from the internet in order to track your calories better. The app also alerts you when you are on track with your protein, or if you’ve had too much sugar/sodium. In addition to tracking your nutrition, the app also helps you set and reach your fitness goals, track your progress, find recipes, shares healthy ideas from their blog, and has a community forum to share fitness ideas. The app is also compatible with numerous fitness trackers, meaning it can estimate how many calories you burn automatically by retrieving your activity data from your tracker. MyFitnessPal really makes you aware of your eating and exercise habits, and is an awesome tool for staying fit. If you sport a FitBit fitness tracker, the FitBit app will automatically gather data from the tracker and input that data to the app. Depending on the type of tracker you have, you can track your steps, heart rate, sleep, distance, and calories burned. If you don’t own a tracker, you can still use the MobileTrack feature on the app and use your phone as the tracker instead (although this option only tracks your steps, distance, and calories burned, and implies you carry your phone with you everywhere you go–even during your workouts). Who out there doesn’t love listening to some upbeat music to get them pumped for their workouts? Upbeat songs motivates and inspires you to push through your workouts, helping you do more than you thought you could have. to artists and albums, or create your own playlist of your favorite songs, free of charge. You can also select a pre-made playlist that suits your mood, or get personalized recommendations. For an upgraded version, Premium subscribers (those paying $9.99/month), can also download music for offline listening, enjoy better sound quality, have uninterrupted music (no ads), and play any song any time on any device (phone, tablet, or computer). Premium subscribers also have a “Running” feature that allows them to find their running tempo and get songs with a beat that match it. Once Spotify finds your tempo, it leaves the beats-per-minute setting alone, so your music becomes a metronome of sorts. Getting fit (or staying fit) doesn’t have to be so difficult. With how chaotic life gets, it’s nice to have a little help from the App Stores to relieve our stresses and help us stay on track. With so many amazing apps out there to help us be healthy, we really have no excuse not to use them. Have you tried any of these before? Which one are you most excited about? Don’t forget to come in to KUBEX and utilize some of these apps during your workouts!